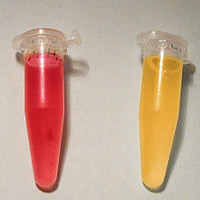 PH Indicators works as halochromic chemical compound which when added to solution in small amounts allows determination of pH. With the possibility of determining it visually, it results in color of solution to change depending on pH. Indicators also show change in other physical properties compromising olfactory indicators show change in odor. Providing one of the main uses in biology and analytical chemistry, it also finds frequent usage in titrations in biology and analytical chemistry for determining extent of chemical reaction. 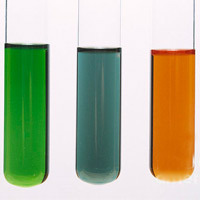 Methyl Orange works as pH indicator and finds suitability in titrations as it provides for changing color at pH of mid-strength. We can offer it in tamper proof finish in both standard as well as customized packaging support that meets the industrial standards. Methyl Red is used for conducting mixed-acid fermentation where it contains peptone, glucose, and phosphate buffer. It also produces desired acid for overcoming buffering capacity of broth that causes decrease in pH results. Further, organisms perform other types of fermentation also cannot overcome buffering capacity of broth.